The lighter shades of electronic music found a home in our very own Horoom for quite a while already. It’s time to bring our love for melodies and rhythms into an output: under the roof of Bassiani records we are proud to announce a new sublabel. HOROOM001 inaugurates the platform that will be home to the likes of virtuoso Francis Harris and the craft of Hamatsuki. 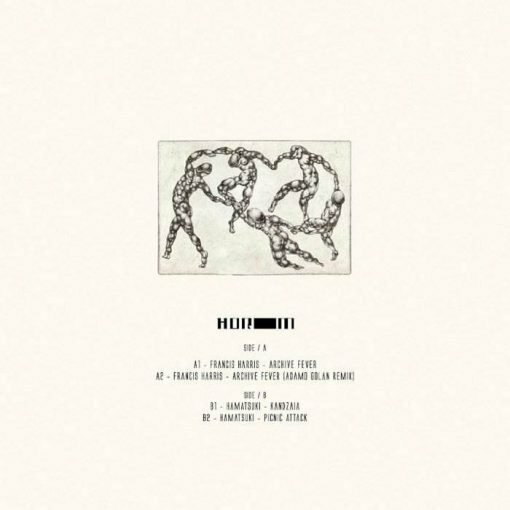 They’ve contributed, A to B, to the first release on the new imprint and be sure to find tracks that are going to enchant you with both beauty and depth. Jazzy, elegant and yearning: no more words needed. More items from " Horoom "
More items from " Francis Harris | Hamatsuki "